Can we all agree that three of these is enough? Granted, back in 2010, the pitch seemed entertaining. An R-rated action romp, written and directed by the “action auteur” Sylvester Stallone, called The Expendables, in which all of the roles would be played by faded, old action stars who were living in the twilight of yesteryear. And, to be sure, that first film delivered all of the tongue-in-cheek dialogue, garish violence and juicy cameos (most notably Mickey Rourke, Bruce Willis and then-still-governor Arnold Schwarzenegger) that the original idea promised. The movie was a hit and the sequel was greenlit, as expected. Now, it is 2014, and we have The Expendables 3, starring most of the same faded, old action stars, minus one big one (Willis) and plus three big ones (Wesley Snipes, Antonio Banderas, and Harrison Ford). And, of course, Kelsey Grammer, who is arguably the highlight of this film, playing an “action-star scout” of sorts. Don’t worry, I’m not forgetting a slew of young up-starts who are also cast alongside stalwarts Stallone, Schwarzenegger, Jason Statham, Dolph Lundgren, Jet Li, Randy Couture and Terry Crews. We’ve got Kellan “2014’s first Hercules” Lutz, UFC’s Ronda Rousey, Glen Powell and Victor Ortiz as the new recruits brought in once things get hot and heavy for the team, thanks to the ominous villain Conrad Stonebanks, played by Mel Gibson. If it feels like this review has spent too much time just listing the cast, there truly is not too much more to the film than the faces that pop up throughout. The plot involves Stonebanks – one of the founding members of The Expendables – and a deadly arms dealing plan that involves killing a lot of people. The core problem of this action trilogy is that it was never meant to be particularly good. Hell, that was the appeal of it in the first place: capturing the nostalgia of bad actions movies from the 80s that are considered “classics” two decades later thanks to cable television and fond, youthful memories. And while there is absolutely nothing wrong with loving Commando or Cobra, you would be better served just re-watching those films than sitting through a film as tired and lazy as The Expendables 3. In fact, there are plenty of silly and ridiculous 80s/90s action films that would serve the nostalgic need better than completing this repetitive trilogy. You have The Specialist from Stallone, or Assassins starring Stallone and Banderas. There’s Eraser from Arnold and Air Force One from Ford. Bird on a Wire is a special kind of silly from Gibson in the late 80s, as is Tequila Sunrise. Wesley Snipes has Passenger 57, Boiling Point and Drop Zone. There’s also Snipes in Demolition Man, which stars Stallone too! Lundgren’s got plenty, including the original The Punisher and the original Universal Soldier. 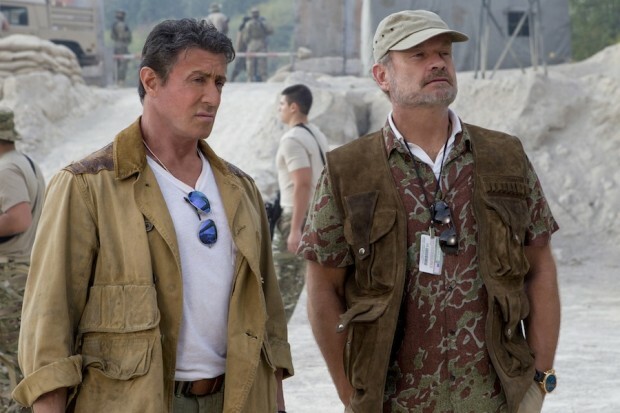 The point is, the world does not need The Expendables 3. And neither do you. The Expendables 3 hits theaters on Friday, August 15th.